● EXTERNAL: Zipper closure, 1 back zipper pocket for holding frequently used stuff. INTERNAL:All stuff can be well organized inside. 3 compartments 1 zipper pockets for wallets and another 2 buckle pockets for another smaller things. 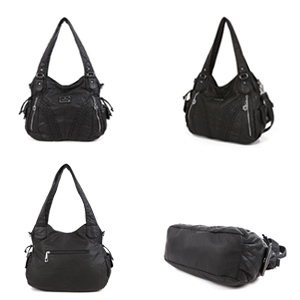 ● 2 zippers closure,convenient for different articles.Keep bags good shape. ● Excellent Package and Shipping: One dust bag (which can be used as a shopping bag) and one dasein box. Seriously protect the leather from damage. Great gift idea for your friends, wife, parents or yourself. Angelkiss,20-year Soft washing process in women leather bags,has been very picky from materials selecting to detail craftsmanships.Every bag you received has been through hundreds of procedures to ensure its excellent quality.If you take a look at our store items,you will see more fashion designs. Occasion: suits for Work,Traveling,Shopping,Dating etc. 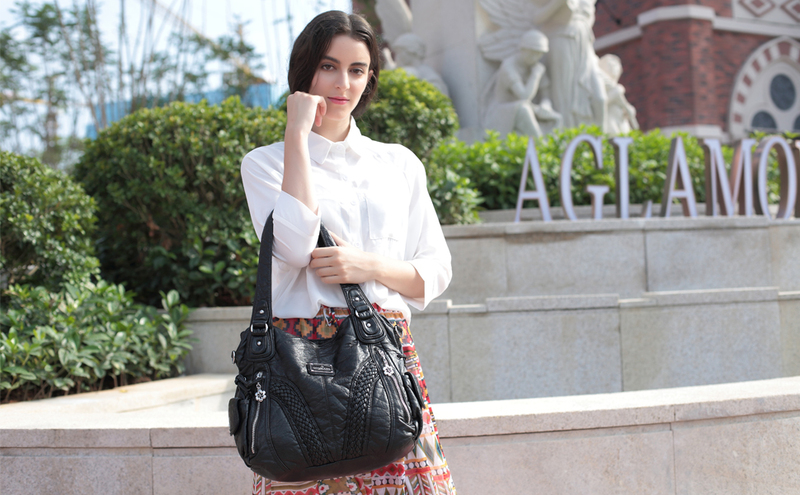 This zip-top tote is lined with soft polyester fabric and features two large compartments,two open slip pockets. 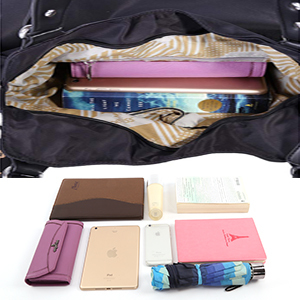 you can bring your make-up, notebook, books, cell phone, umbrella, wallet, Ipad Mini, and somethings else little. Bearing Capacity: 22 ib /10KG maximum. Dimension of the shoulder straps: Total length of the strap from one side to the other is 23 inches. 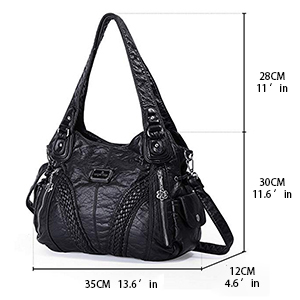 From the top of the purse to the top of the outstretched strap, the height is 40 inches, which allows you to get it on your shoulder.